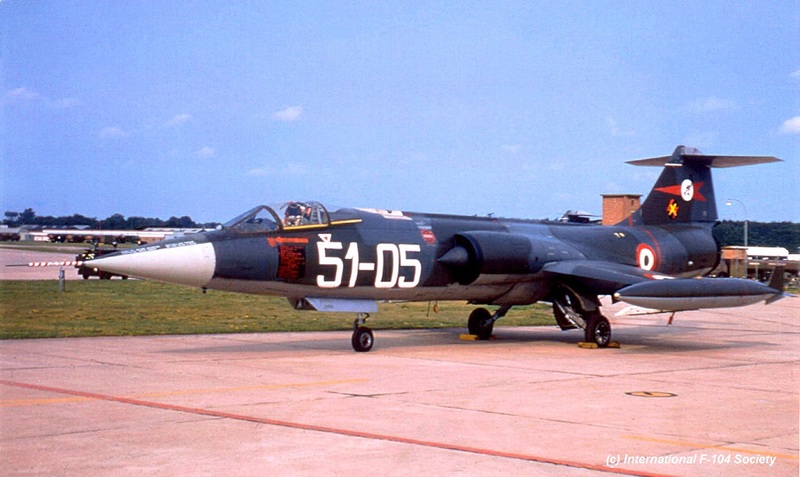 In May 1973 a squadron exchange took place between the French Air Force ER 2/33 at Strassbourg flying the Mirage IIIR, and the Dutch Air Force 306 Squadron, normally based at Volkel, but now flying from the 306 Squadron reserve Air Base at De Peel. It was a two-way exchange where 6 Dutch Starfighters flew from the Peel AB to Strassbourg AB and five camouflaged Mirage IIIR aircraft came over to De Peel AB. Some, and maybe all, Mirages received 306 Squadron badges on their tailfins. Very likely the pre-exchange took place in March. This month there was a squadron exchange between the Belgium Air Force 350 Squadron (1 Wing) and Royal Air Force Lightning F.3 s operated by 111 Squadron based at Wattisham. It was a two way exchange but sadly the participating 104 in the UK are unknown. 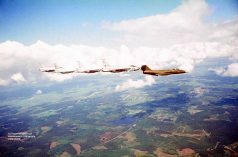 Beneath a photo thanks to Serge Bonfond showing FX27 and FX93 flying together with 2 Lightnings, likely over Belgium. This month there was a squadron exchange between the Italian Air Force 22 Gruppo, based at Istrana AB and the Dutch Air Force 312 Squadron based at Volkel AB both flying the F-104. It was a two way exchange. Italian Starfighters seen at Volkel were F-104S aircraft MM6707/51-05, MM6718/51-16, MM6721/51-14 and MM6777/51-24. Pre-exchange took place by two Starfighters (MM6717/51-11 and MM6777/51-24) on April 18th. 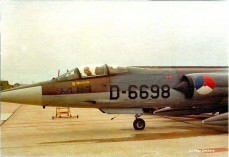 Beneath a photo showing MM6718 code 51-16, taken at Volkel by Paul van Oers. Also a photo beneath showing the MM6707 after the squadron exchange, still with 312sq badges sticked on its tail fin. (Thanks to Riccardo Vestuto). 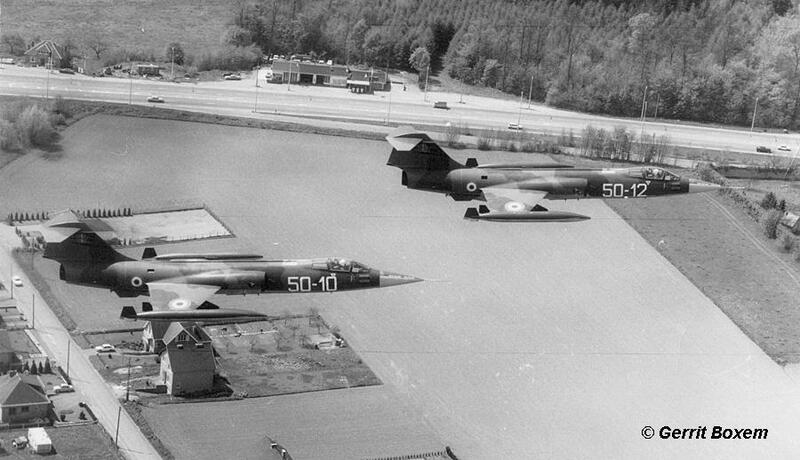 In May 1973 there was a squadron exchange between the Norwegian Air Force 334 Skv, based at Bodo, flying the F-5 and the Canadian Air Force 439 Squadron flying the CF-104. It is unknown if it was a one or two way exchange but at least the Starfighters were seen in Norway. One of the Canadian Starfighters was lost during the exchange. It was CF-104 nr 104864 pitched up in landing-pattern of Bodo AB after a DACT mission with another CF against two F5's of 334 Skv. It happened on 10 May and sadly , Capt. Paul Rackham lost his life. He ejected but too late. 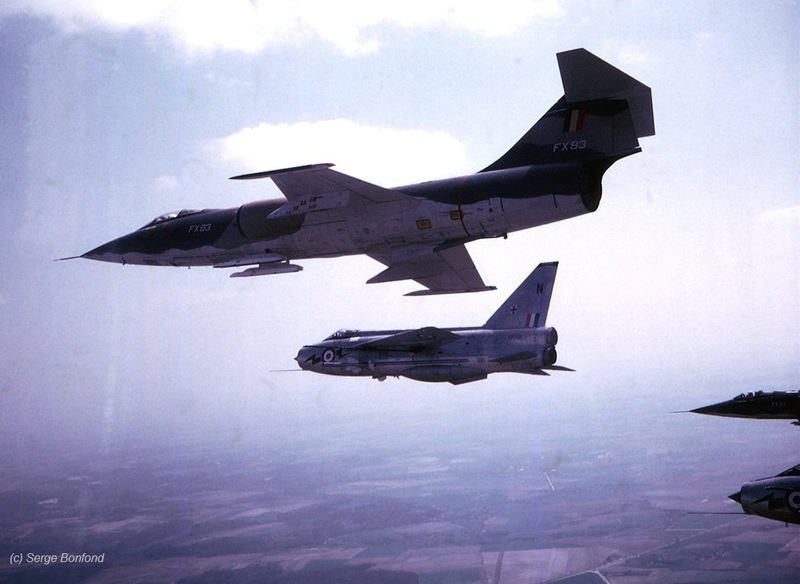 In June 1973 a squadron exchange took place between the Royal Air Force 29 Squadron, based at RAF Wattisham, flying the Lightning jet fighter and the Dutch Air Force 323 Squadron based at Leeuwarden AB flying the F-104G. 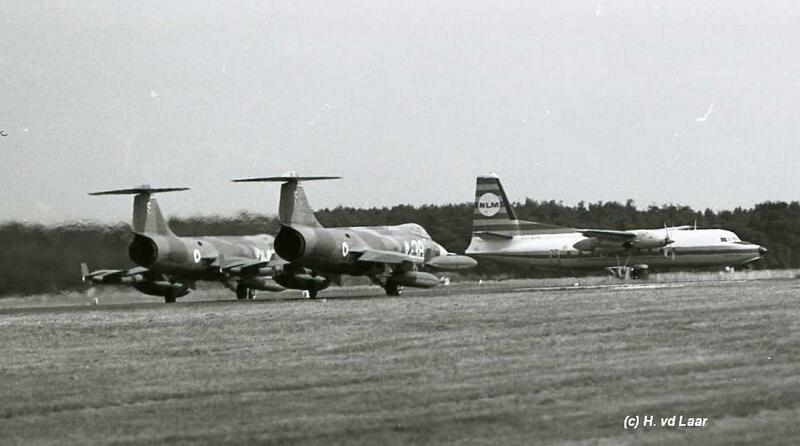 It is unknown if it was a one or two way exchange but at least Dutch Starfighters were seen at Wattisham. Participating Starfighters were D-8058, D-8084, D-8090, D-8098 and D-8319. Beneath a photo taken by Colin Murray at Wattisham during the event. 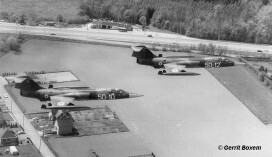 Norwegian Air Force 331 Skv at Bodo AB, operating the F-104G Starfighter, exchanged with RAF 23 Squadron flying the Lightning F.6, based at RAF Leuchars. It was a 2 way exchange. This period a squadron exchange took place between the German Air Force JG71 (2nd Staffel), based at Wittmundhafen, flying the F-104G and the Royal Air Force 111 Squadron based at Wattisham flying the Lightning. It was a two way exchange where four Lightnings flew to Germany. It was the last squadron exchange for JG71 while operating the F-104G. Seen on August the 5th were aircraft 23+53, 23+54, 23+60, 23+74, 23+81 and 27+35. The TF-104G 27+35 received the famous 4 feet painted beneath the cockpit as souvenir as can be seen on the photo beneath. 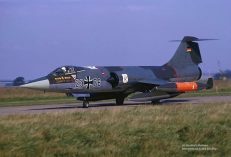 In August 1973 a squadron exchange took place between the Italian Air Force 102 Gruppo, based at Rimini AB, and the Dutch Air Force 311 Squadron based at Volkel AB both flying the F-104G. It was a two way exchange. Aircraft seen at Volkel were F-104Gs MM6547/5-04, MM6556/5-11 and MM6603/5-20. A total of four Dutch F-104Gs of which one was D-6698 flew from Holland to Rimini. Pre-exchange took place on 13 July 1973 by 5-08 (likely MM6573, but not confirmed) and 5-10 (likely MM6505 but not confirmed). 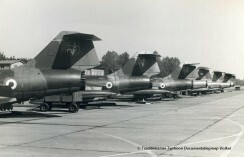 Photo beneath shows a nice line-up of Starfighters at Volkel Air Base. (Photo Traditiekamer Typhoon, via Jeroen Jonkers). Photo of D-6698 at Rimini shows pilot Peer Dekkers (by Peer Dekkers), the one of the landing 5-11 at Volkel was taken by Frank Swinkels. 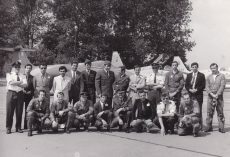 In August 1973 a squadron exchange took place between the Hellenic Air Force 336 Mira, based at Araxos AB, and the Belgium Air Force 23 Smaldeel (10Wing) based at Kleine Brogel AB both flying the F-104G. It was a two way exchange. Six Starfighters from Greece were seen in Belgium being 63-12705/FG-705, 63-12711/FG-711, 63-12712/FG-712, 63-12715/FG-715, 63-12722/FG-722 and 63-13639/FG-639. 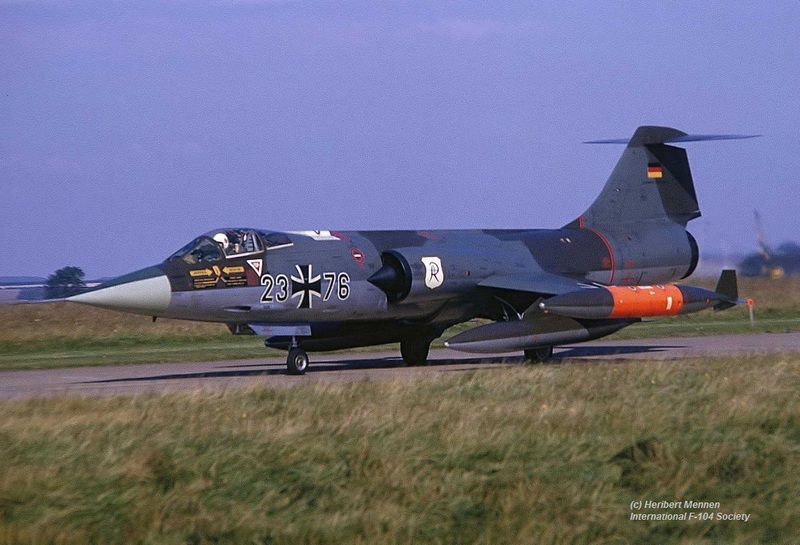 In August 1973 the Canadian 441 Squadron flying the CF-104 Starfighter at Baden-Sollingen had a squadron exchange with the Danish Air Force 727 Eskadrille at Karup flying the F-100 Super Sabre. It is unknown if it was a one or two-way exchange but at least the Canadian Starfighters were in Denmark this period. This month there was a squadron exchange between the German Air Force JBG31, based at Norvenich AB and in principle the Turkish Air Force 112 Filo based at Eskisehir AB flying the F-100C Super Sabre. 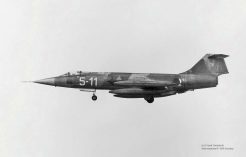 It was a two way exchange where six F-100s came to Norvenich and four Starfighters flew to Turkey but not to Eskisehir but Murted (141 filo). 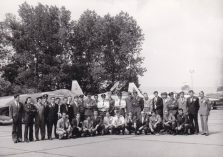 Transport was flown by aircraft 50+45 from LTG63. Flying to Murted could be because of possible runway repair at Eskisehir. 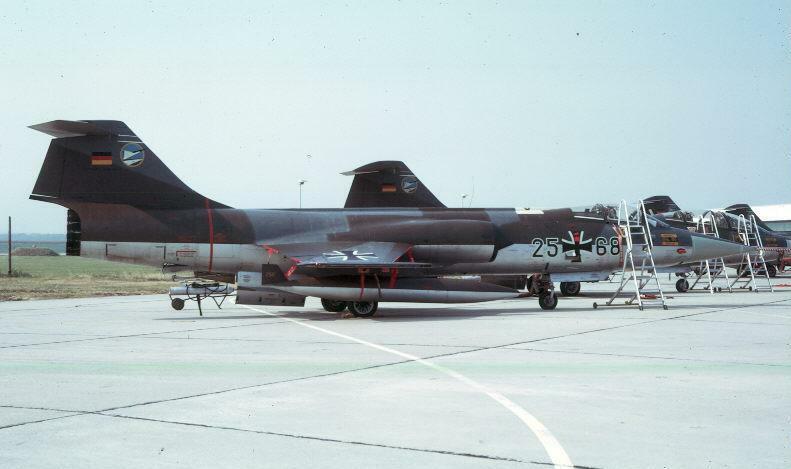 Starfighters at Murted included F-104G 21+63 which also suffered a heavy birdstrike during this exchange period. Beneath a few wonderful and very unique photos taken by Helmut Baumann when he was at Murted during the exchange. It shows a few Murted operating F-104G Starfighters from 141 Filo. Also a photo from JBG31 showing TF-104G 27+21 flying formation with Turkish F100C 41798 over the German landscape. 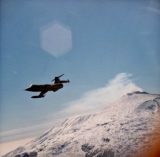 This year a squadron exchange took place between the Dutch Air Force 314 Squadron, based at Eindhoven, flying the NF-5 and the Italian Air Force 132 Gruppo (part of 3 Aerobrigata), based at Villafranca, flying the F-104G. It was a 2 way exchange. 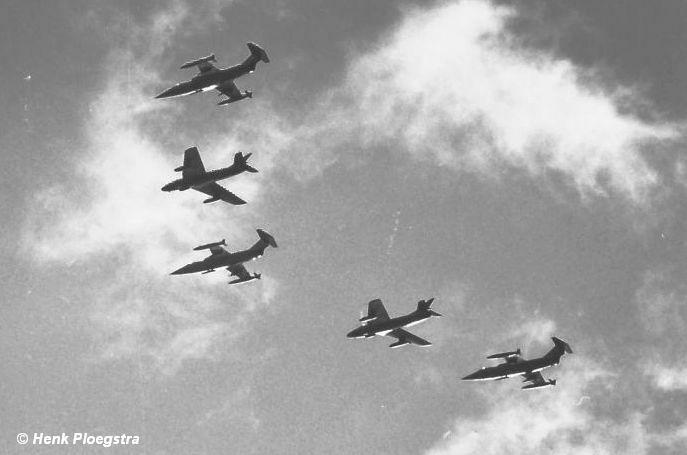 Italian aircraft seen at Eindhoven were MM6511 code 3-38, MM6599 code 3-41, MM6522 code 3-42 and finally unidentified F-104 with code 3-43. Support aircraft on way back was C-130H 46-14/MM62000 seen on the 13th. 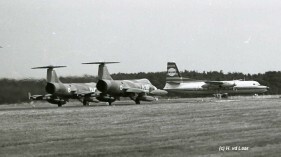 Photo beneath shows two Starfighters (including 3-38) ready for take off at the runway of Eindhoven AB. Please note the old fashioned NLM F-27 Friendship in the background (Photo by H. van der Laar). The Danish Air Force 723 Eskadrille, operating the F-104G at Aalborg, exchanged this period with the Italian Air Force 12 Gruppo, operating the F-104S from Gioia del Colle. It is unknown if it was a 1 or 2 way exchange. 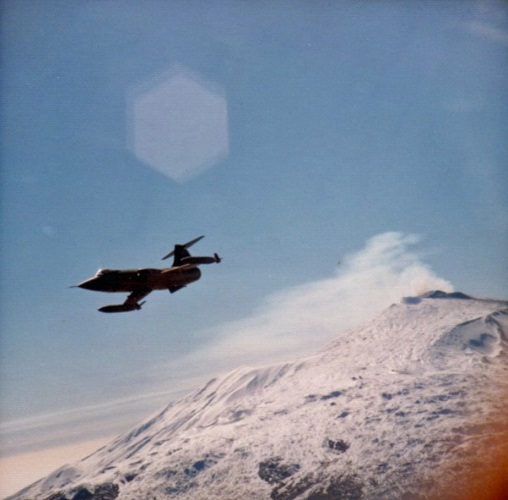 Photo, thanks to Peter Otto Andersen, shows a Danish F-104 on its way to Gioia over the volcano mountain. 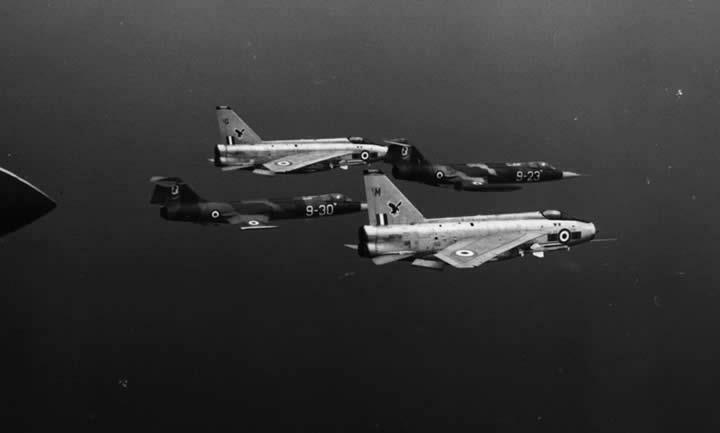 In this period a squadron exchange took place between the French Navy 16F, based at Landivisiau NAS, flying the Etendard IVP aircraft and the German Navy MFG2 based at Eggebek flying the F-104G. It was a 1 way exchange. In total six RF-104G Starfighters flew to France. 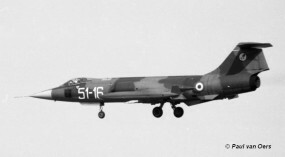 The Royal Air Force 5 Squadron, based at Binbrook flying the Lightning F.6 exchanged with the German Air Force JG74 (1st Staffel) based at Neuburg AB, flying the F-104G. It was a two-way exchange where four Lightnings flew to Germany and five Starfighters flew to the UK. The RAF also flew over a Canberra T.17 from 360 Squadron to Neuburg, used for electronic warfare exercises during the exchange period. German Starfighters seen at Binbrook were F-104G 21+06, 23+76 (JG71 markings), 24+64, 25+68, 25+93 and TF-104G 28+28. 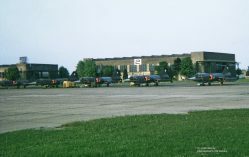 Beneath photos of 25+68 at the Binbrook flightline and also a photo of this aircraft taxying during a clean mission from Binbrook on October 1st and also a photo of taxying 23+76 (with JG71 markings) during arriving at or departing from Binbrook on October 1st. Both taxy photos thanks to Heribert Mennen. 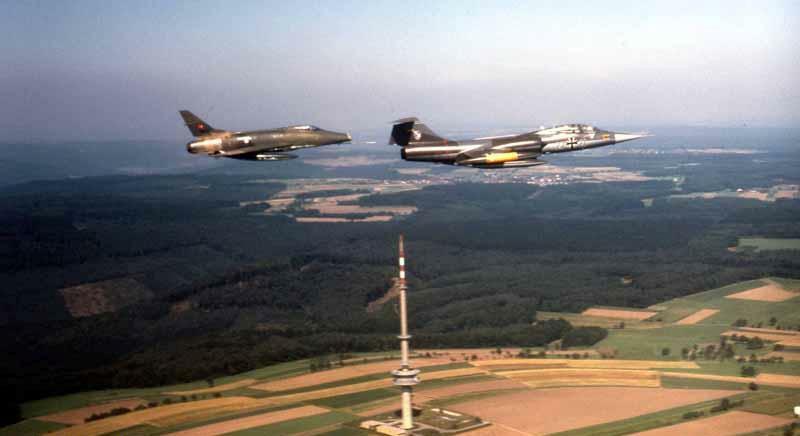 In July 1973 the USAFE 92 TFS/81 TFW flying the F-4C Phantom from Bentwaters AFB visited the Canadian 421 Squadron flying the CF-104 Starfighter at Baden-Soellingen. It was a shifted two-way exchange. 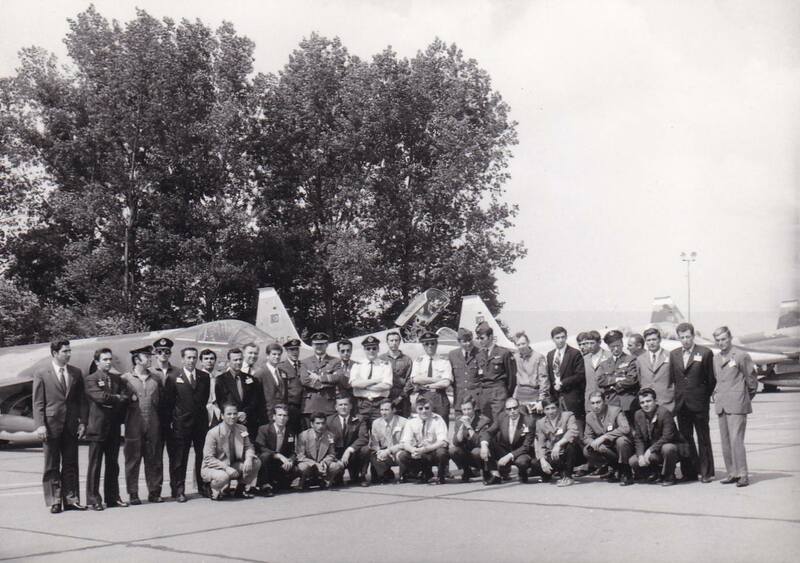 In September 1973 the 421 Squadron visited the 92 TFS at Bentwaters in return. This month the Italian Air Force 10 Gruppo (9 Stormo) at Grazzanise, operating the F-104S and some old F-104G Starfighter, exchanged with RAF 23 Squadron flying the Lightning F.6, based at RAF Leuchars. It was a 2 way exchange. 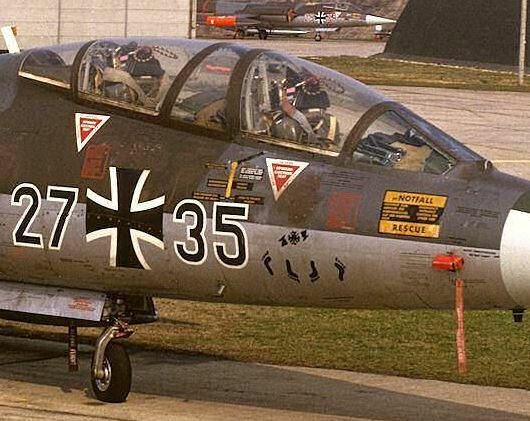 Aircraft seen (reported October 10th) were: F-104G MM6561/9-12 and F-104S Starfighters MM6809/9-35, MM6815/9-32, MM6817/9-34 and MM6818/9-36. 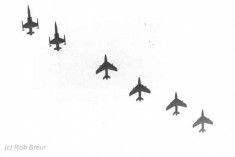 (Serials thanks to John Ross) The pre-exchange could have taken place on the 21st of August 1973 when two 9 Stormo Starfighters were seen at Leuchars being MM6809/9-35 and MM6818/9-36 accompanied by TF-104G MM54226/20-1. 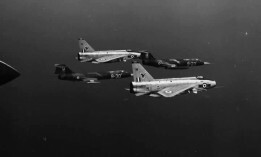 The photo beneath was taken during the exchange above Italy showing two 23 Squadron Lightning F.6 jets with Starfighters MM6808 code 9-30 and aircraft 9-23 (unknown MM). Be aware that 10 Gruppo was still converting to S, so they still used a mix of G and S aircraft. 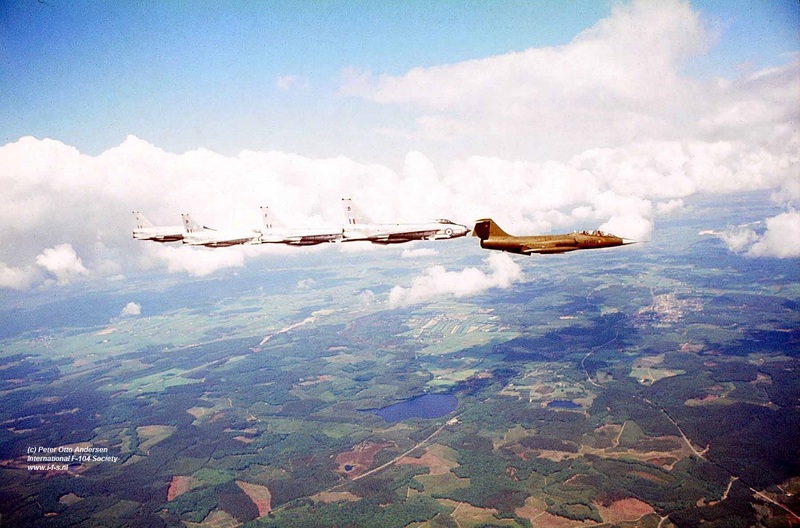 In 1973 a squadron exchange took place between the Italian Air Force 28 Gruppo (part of 3 Aerobrigata) based at Villafranca AB, flying the RF-104G and the Norwegian Air Force 338 SKV flying the F-5A from Orland AB. It is unknown if it was a 1 or 2 way exchange. 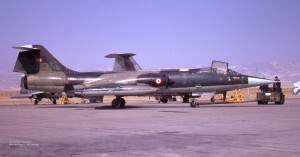 The Belgium Air Force 1 Wing - 349 Squadron operating the F-104G at Beauvechain exchanged this period with the Turkish Air Force 152 Filo, operating the F-5A from Merzifon. It is unknown if it was a 1 or 2 way exchange but at least the F-5s visited Belgium as can be seen on the group photo taken at Beauvechain, seen beneath (unknown source). 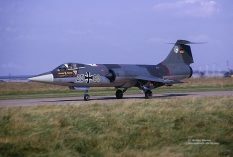 The German Navy MFG1, operating the F-104G at Schleswig, exchanged this period with the Italian Air Force 156 Gruppo, operating the F-104S from Gioia del Colle. 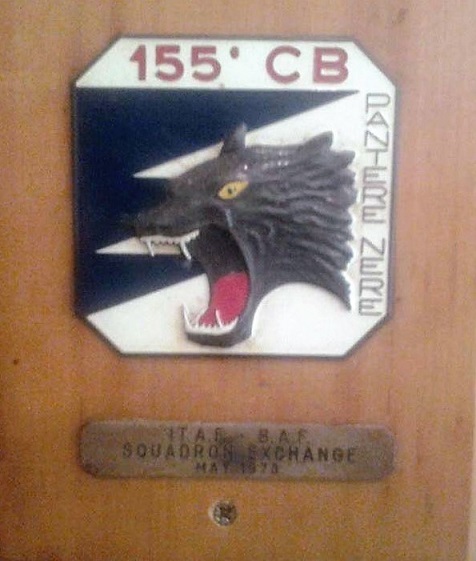 It is unknown if it was a 1 or 2 way exchange but at least the Germans flew to Italy. 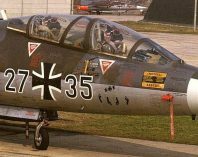 Because two 156 Gruppo Starfighters have been noticed in 1973 wearing MFG1 badges it looks like the Italians have been in Germany as well. Italian Starfighters seen with MFG1 zapps were MM6761/36-43 and MM6744/36-44. 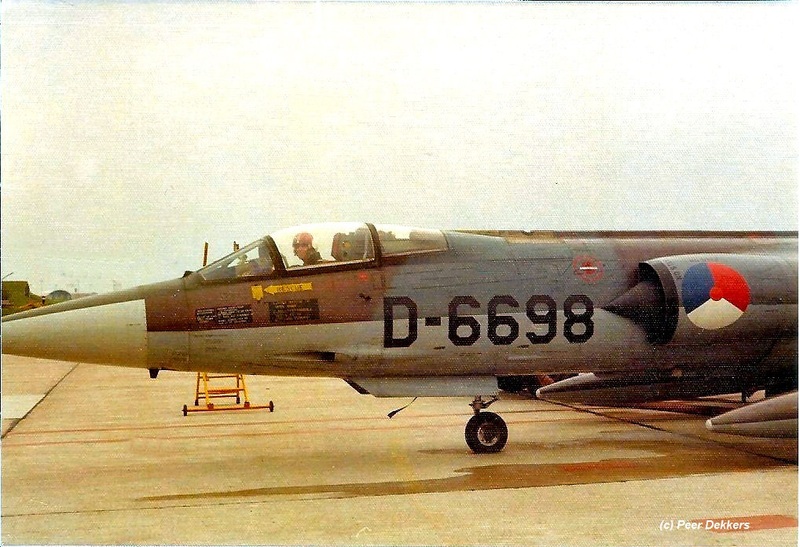 The Danish Air Force 726 Eskadrille, operating the F-104G (CF-104) at Aalborg, exchanged this period with the Italian Air Force 9 Gruppo, operating the F-104G or S from Grosseto. It is unknown if it was a 1 or 2 way exchange.